North Korea’s most recent ambassador to Spain, Kim Hyok-chol, played a key role ahead of the Hanoi summit, heading up the North Korea negotiating team that received a US delegation in Pyongyang in early February to discuss denuclearisation. Kim Hyok-chol was expelled by the Spanish government in September 2017 in protest at North Korean nuclear tests, but he has not been replaced at the embassy, located in a quiet suburban area outside the Spanish capital. Police were alerted to an incident at the mission when a woman, one of the eight members of embassy staff on duty at the time, began shouting in the street outside. Soon after officers arrived at the building, the 10 assailants sped away and ambulances were called to treat the staff for their injuries. The attackers had bound the staff, placing bags over their heads and beating them as they searched for files. 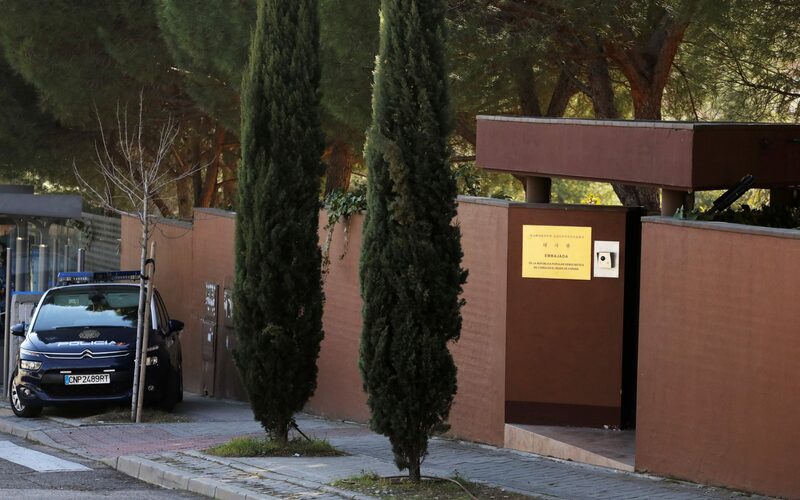 According to El País, the commercial attaché, the highest-ranking embassy official, was interrogated by one of the assailants in a separate room. A court in Madrid is in charge of the investigation into the assault on the embassy but so far no arrests have been made. The Telegraph has asked the US embassy in Spain to comment on the report.